Hello, sunshine. Got a tip? Hit us by mail or tweet it for everybody to see and blow our scoop. Thanks for nothing! It’s not often CHS finds major food and drink news buried in the design review documents of a mixed-use apartment project. But lots of crazy things are happening these days. 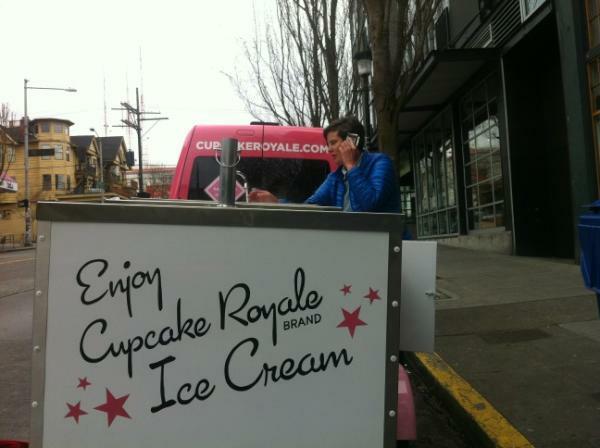 DJC is scooping us on restaurant news. We’re scooping the DJC on development news. Don’t worry. Things will get back to normal soon (DJC scooping CHS on both). In the meantime, thanks partly to this image we found tucked away in an architect’s design renderings, CHS can report that Linda Derschang will open her latest project, Tallulah’s, on 19th Ave E.
According to a representative, Tallulah’s is planned as a restaurant and bar cut from similar cloth to Derschang’s Smith and Oddfellows but with a lighter, brighter take and more of a focus on the simple, rustic food the sister locations have specialized in. It will start as a dinner and brunch restaurant — no lunch — with plans to be open seven days a week in the eastern reaches of Capitol Hill’s leafier, quieter and more wow there are a lot of kids in here-ier end of things. 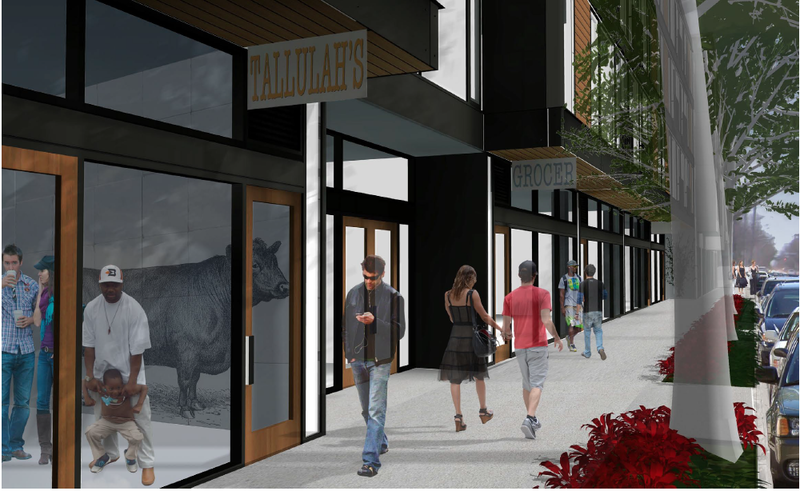 Tallulah’s will have around 75 seats and what is being described as an enormous patio. It will not, however, have Tallulah. CHS reported on the decision for Linda Derschang’s daughter Tallulah Anderson to branch out from her mother’s businesses earlier this year at E Pine’s Linda’s celebrated its 18th birthday. The Derschang representative said the restaurant is “inspired by” Anderson but she isn’t currently part of the project. How that inspiration takes shape won’t be visible until next spring as the year-long construction of the four-story apartment building that will wipe out the current Holiday Craft Store structure across Mercer from the Kingfish Cafe is planned to begin this summer. The space where Tallulah’s will live is an empty parking lot today. Starting from scratch will be a new challenge for Derschang who has always worked with someone else’s space to create her bars and restaurant. With 6,000 square feet of retail to fill in the building, having Derschang on board will also help with recruiting commercial tenants for the space. The addition of Tallulah’s will add to the pocket of successful food and drink ventures in the area. Kingfish continues to draw a line at opening while Monsoon, Fuel Coffee, a Tully’s branch and Vios also appear to be thriving. 19th and Madison’s Lawrence Lofts project could add an additional restaurant or cafe to the street a short distance away. It does not appear that any other big names are currently part of the restaurant and bar plan outside the Derschang camp. Derschang worked with Ericka Burke to bring Oddfellows into the world in 2008. Smith, by the way, opened way back in 2007 — bonus points if you can remember what it replaced without clicking. 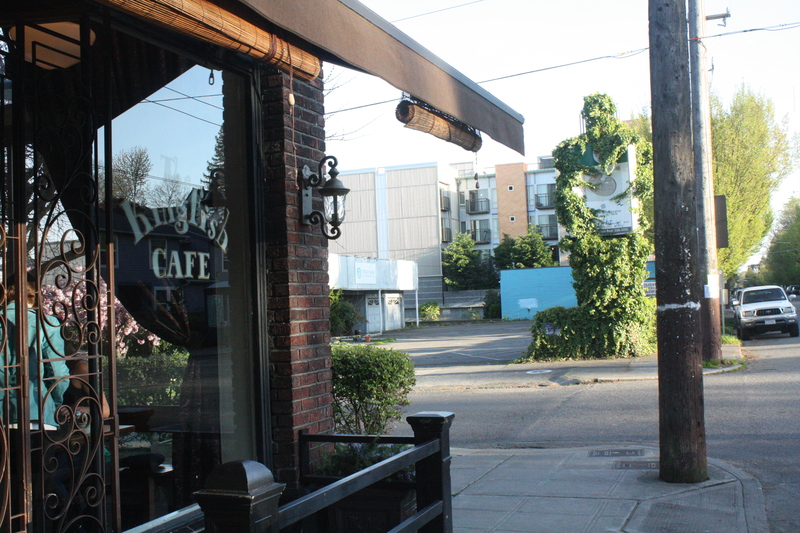 The Derschang representative said Tallulah’s will differ from Smith in the way 15th Ave differs from 19th. CHS posted about the west to east arc of Capitol Hill life here. But it will likely have at least one thing in common with all of Derschang’s Capitol Hill ventures. “I think the thing Linda does really well is make the place that just becomes the favorite,” the representative said. 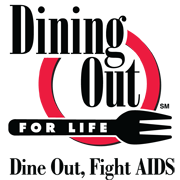 Thursday is 2012’s Dining out for Life day with participating restaurants across the city donating a percentage of purchases to Capitol Hill-based Lifelong AIDS Alliance. 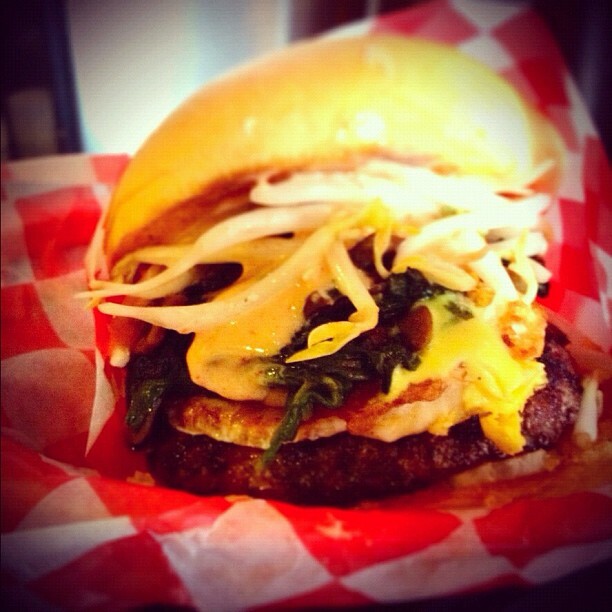 Here’s a roster of participating Capitol Hill restaurants. You can see the full Seattle roster here as well as learn what meals are included in the big day and what percentage the restaurant is donating. Saizen Sushi is no more but Menchie’s frozen yogurt and another not-yet-named chain are coming soon to Broadway. That other space under construction in the Joule retail strip? The soon-to-open Eat Local. Is this a farmers market or a pop-up street food incubator? Taco trucks will swarm Volunteer Park this Cinco de Mayo. Neumos basement club Barboza missed its planned debut this weekend due to construction delays. Organizers scrambled to reschedule or move shows including a free Saturday bbq. Want a Little Uncle t-shirt? The BottleNeck Lounge gets a new cocktail list. Bidding on Capitol Hill’s two state liquor stores got hot and heavy Friday in the final minutes of the auctions for the rights to the spaces. The 12th and Pine store ended up going for $500,100, the highest single-store bid in the state. The Broadway store, presumably likely to face more pressure from a liquored up QFC, went for $255,801. The state said it would spend the weekend working out if the individual store bids outweighed the final bid for the entire system, notifying winners and untangling any shenanigans. And, even then, “winners” will still need to go through the application process to become private spirits retailers. Cafe Presse rolling out its spring menu. 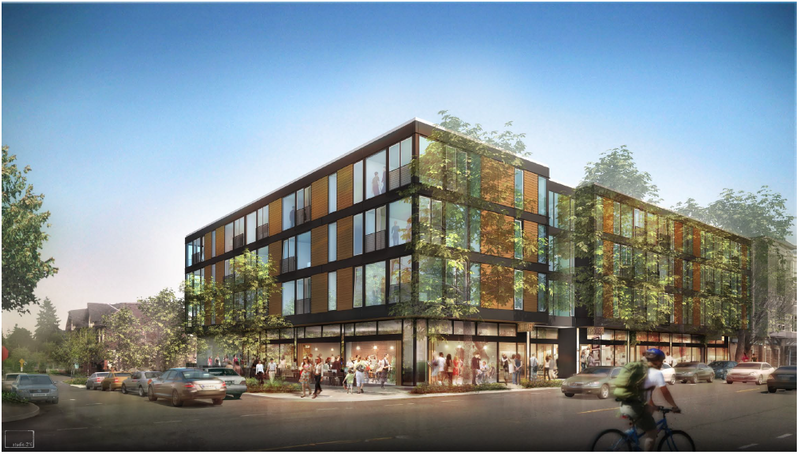 Having Linda on the street will be great but I’m also really excited by that GROCER sign in the rendering. Yes please! Thanks for the Dining Out For Life shout-out, guys! We really appreciate it. The auction for the state’s existing liquor store location licenses ended today. The winning bidder’s list is available to media inquiries. Supposedly the store on 12th Ave and E Pine went for a half a million. Any chance CHS can find out who the winner bidders for the Capitol Hill locations were? You seem pretty knowledgeable about this. You should make a request. You’ll find their definition of media is rather wide :) We’ll have details on the winners soon. Finding out what the landlords have planned is big part of the story, too. @jseattle – the quote from Hardial Gill doesn’t exactly leave me with the warm & fuzzies. Sounds like “same ole, same ole” with a little bit more wine & beer thrown in. Completely lame. Not expecting much better of James Hasty of Puyallup who bought the rights to the Broadway store. When, oh when, is Seattle going to get some liquor stores with properly curated fine and artisanal spirits selections? Like Cask Store in San Francisco, K&L Wines of California, or Astor Wine & Spirits in NYC? The best WA state could do was the state store in SoDo, and an average BevMo could have crushed that joint without breaking a sweat. Total. Lameness. An opinion shared by every decent bartender in this town who has ever bartended outside of WA state in a state with real access to booze.